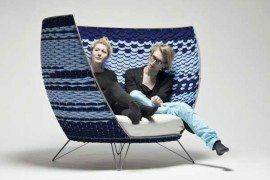 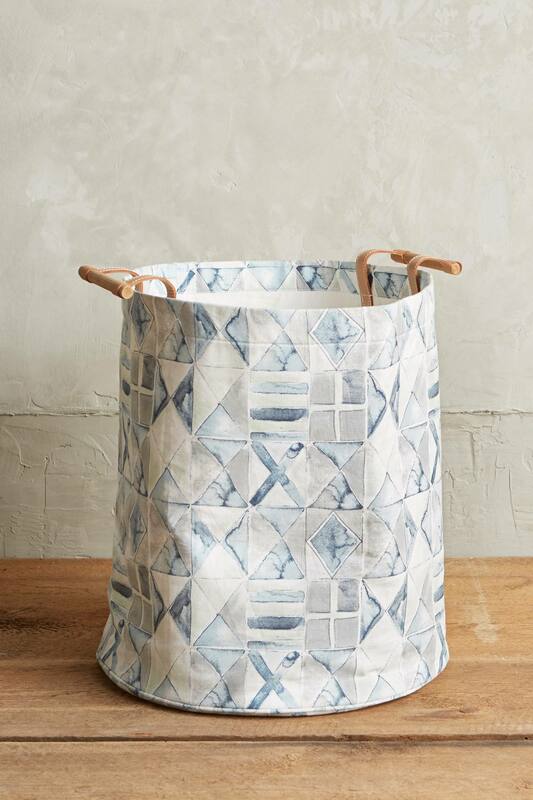 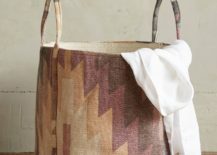 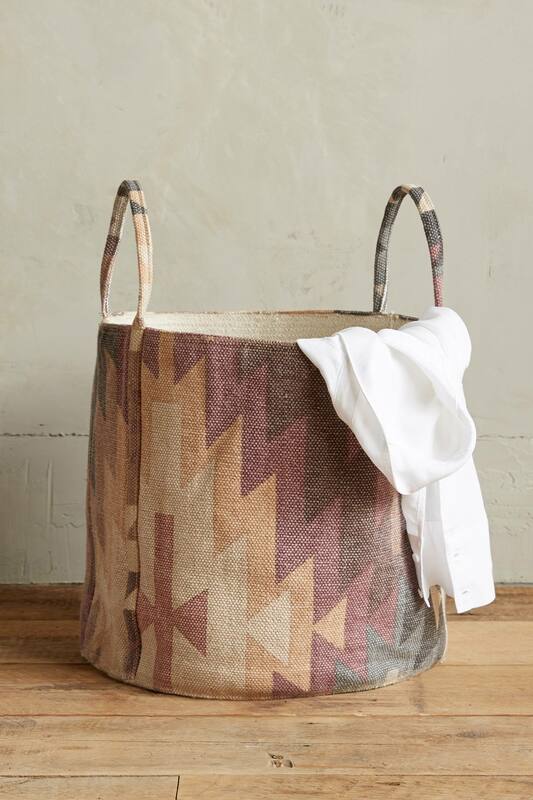 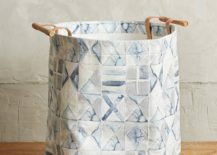 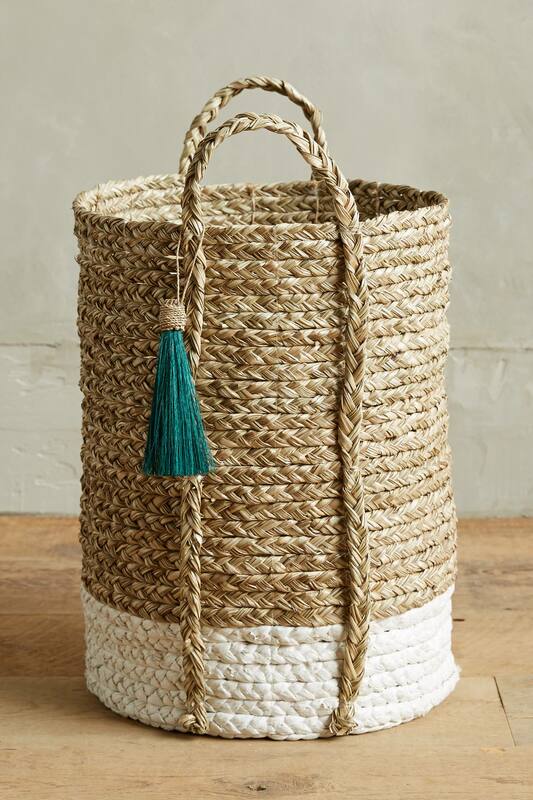 Why not go woven with your laundry basket? 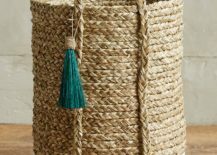 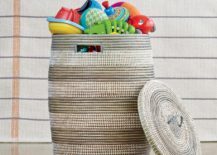 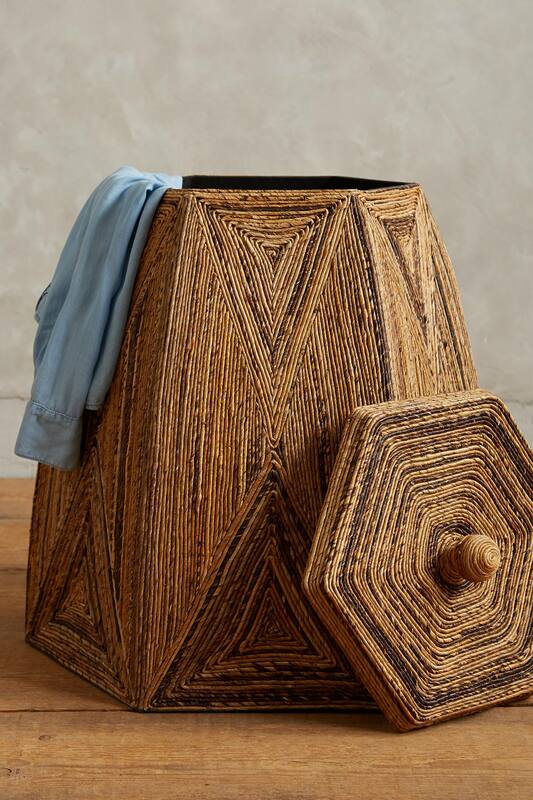 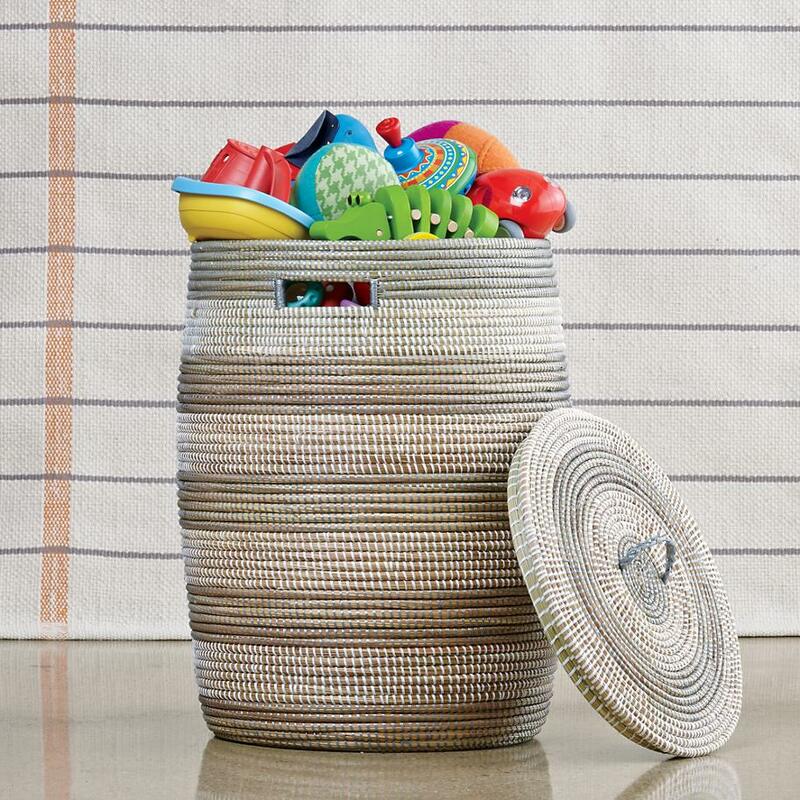 Woven containers add an earthy touch, and they’re perfect for eclectic spaces. 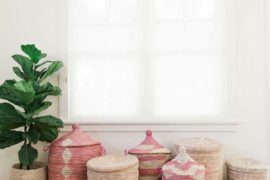 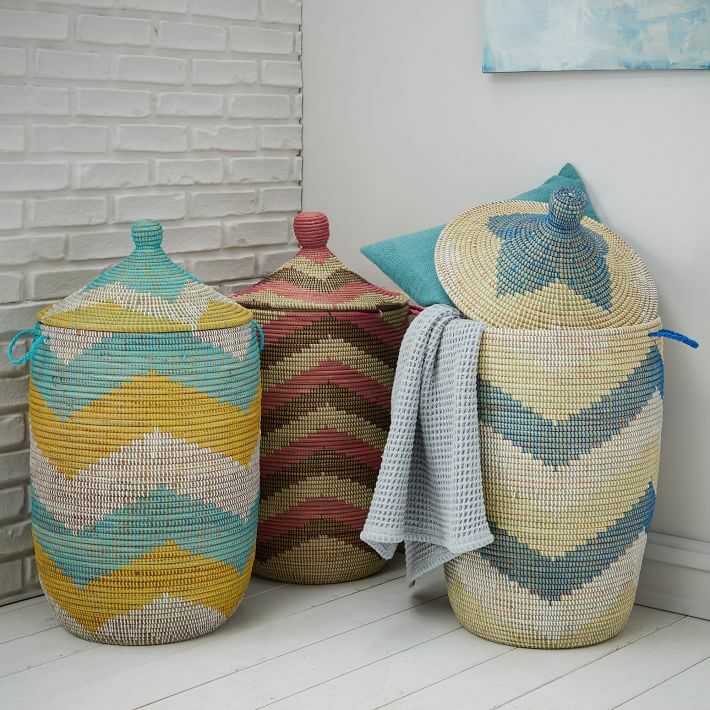 The Land of Nod’s Charming Hamper in Pink Herringbone is hand made of environmentally friendly, sustainable materials by Wolof artisans in Senegal, West Africa. 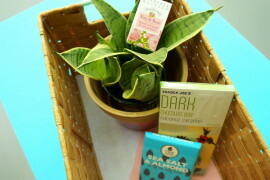 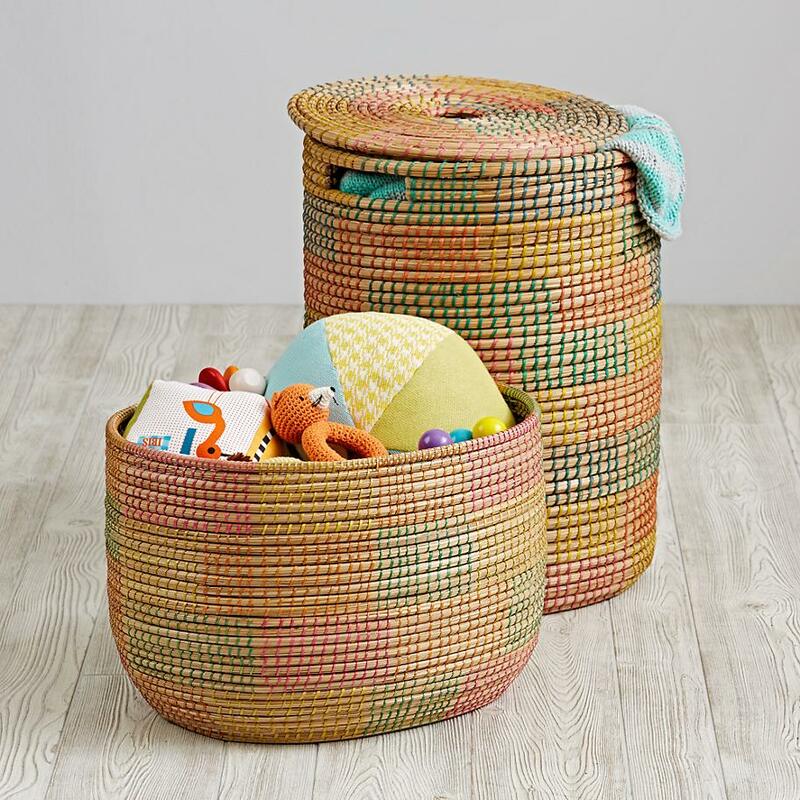 Also available in aqua, the hamper can be used as a toy basket as well. 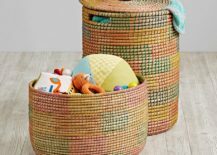 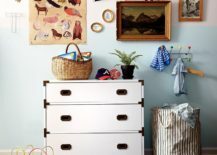 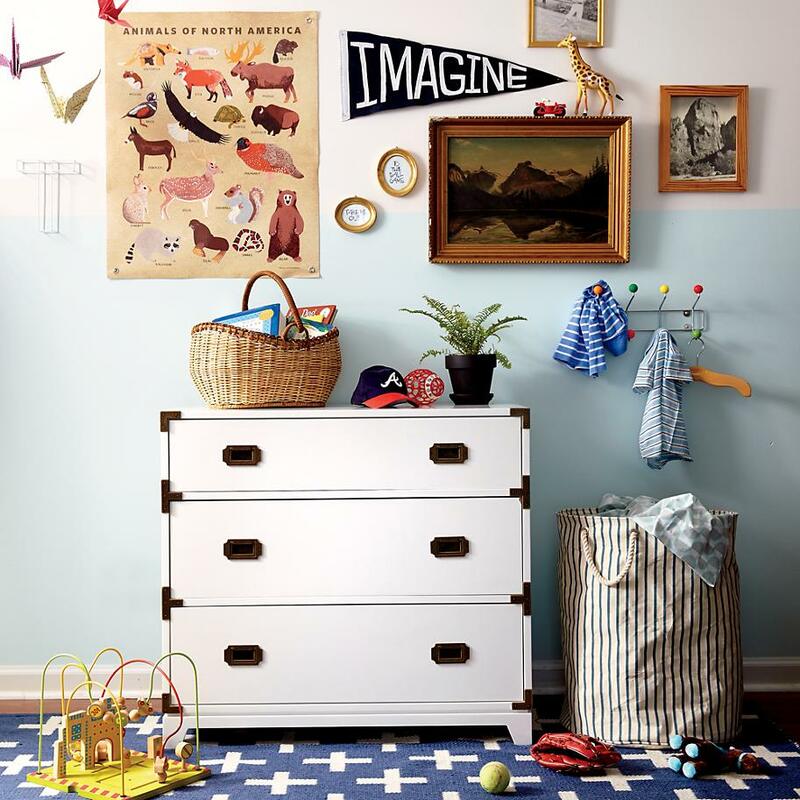 If you like a multi-colored look, check out this Marketplace Hamper, also from The Land of Nod (shown at the back of the photo below). 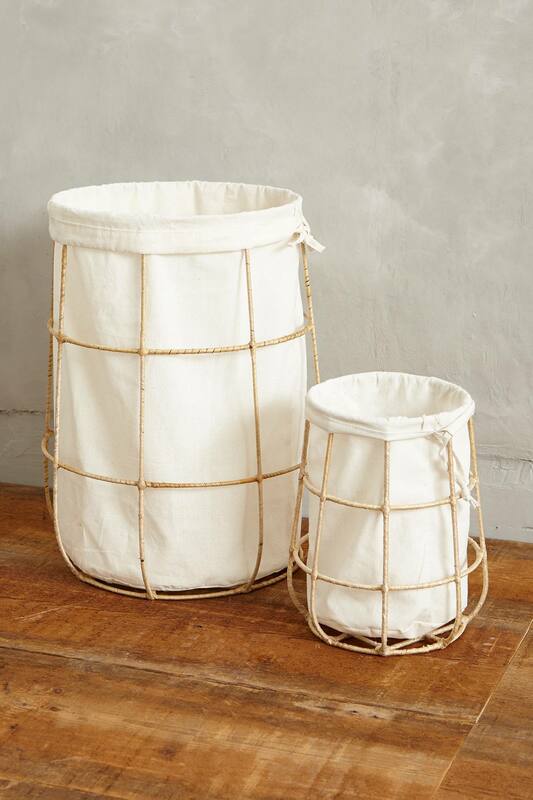 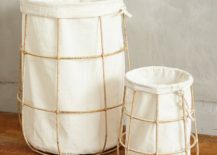 Did you notice that these first three woven hampers feature lids that help keep clothing contained? 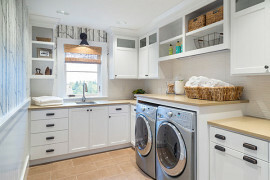 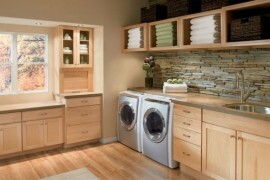 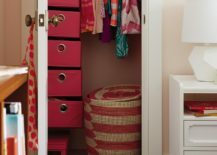 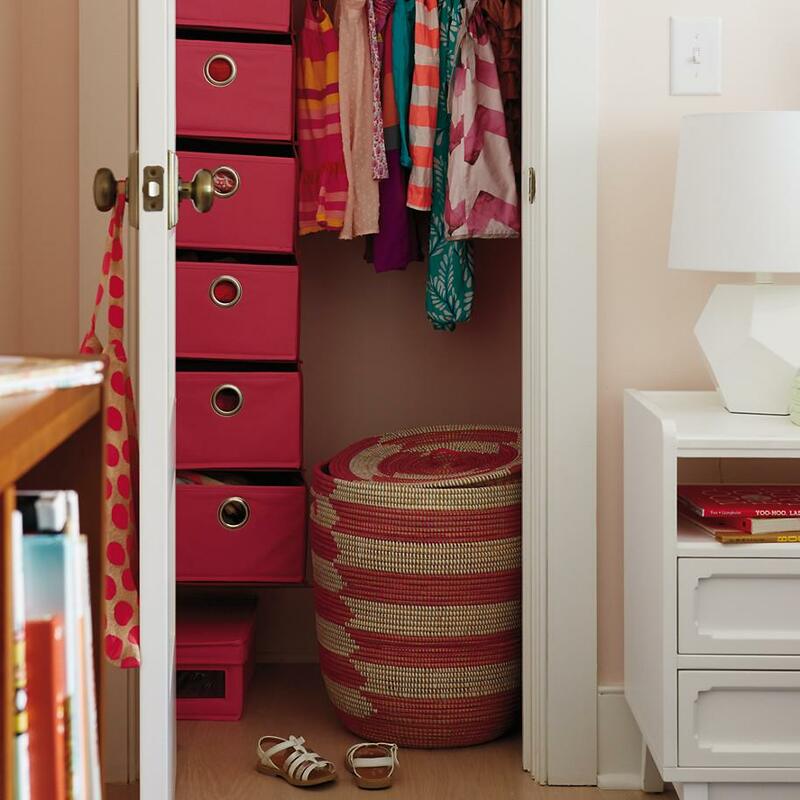 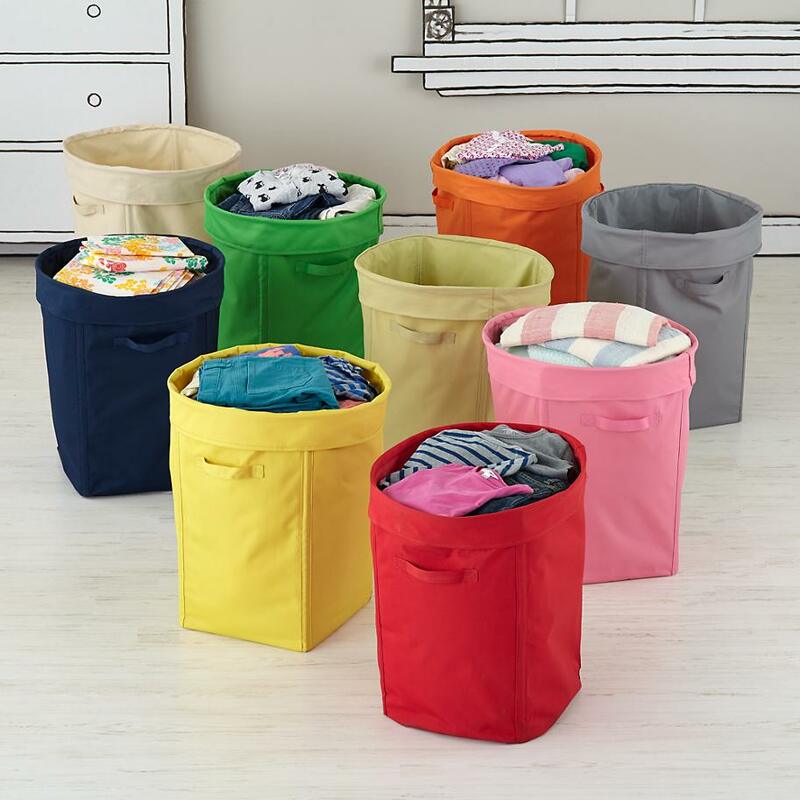 Plus, the lids create a clean, tidy look! 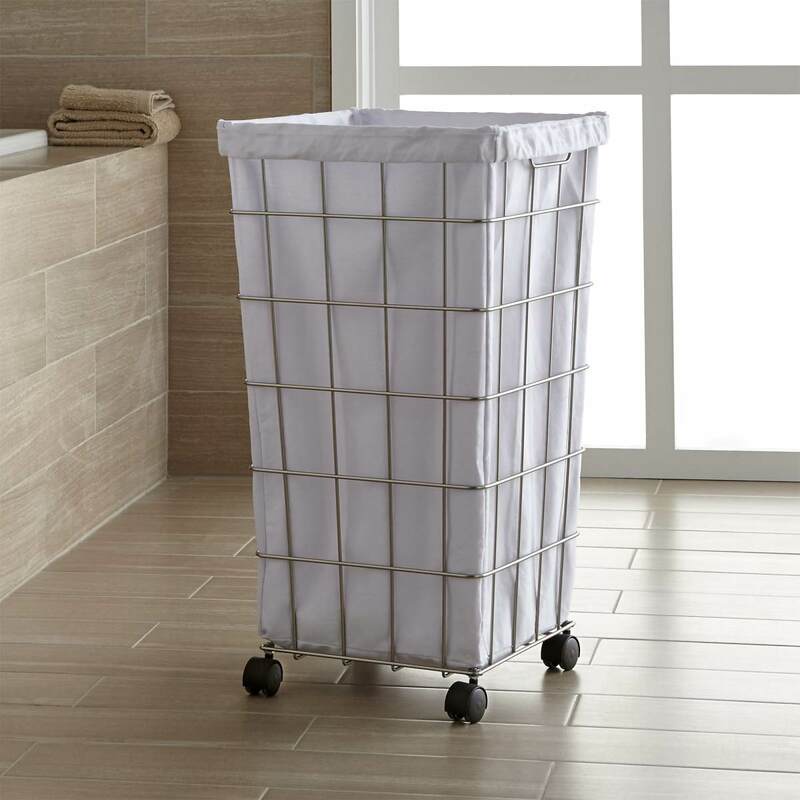 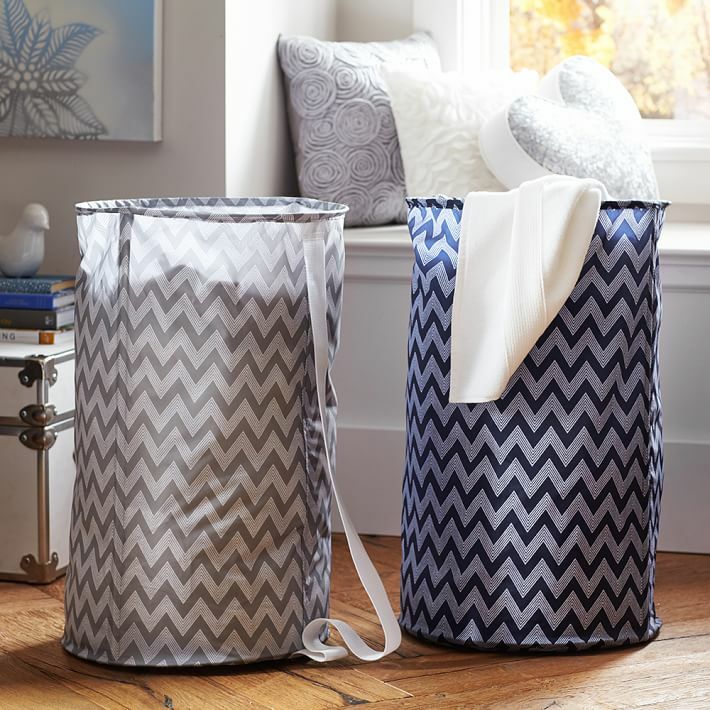 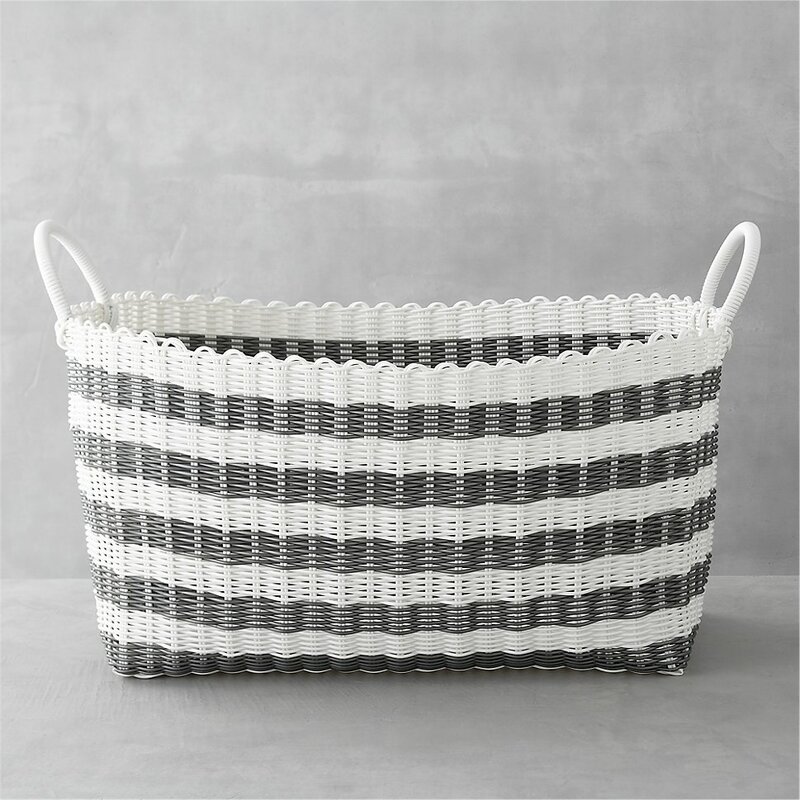 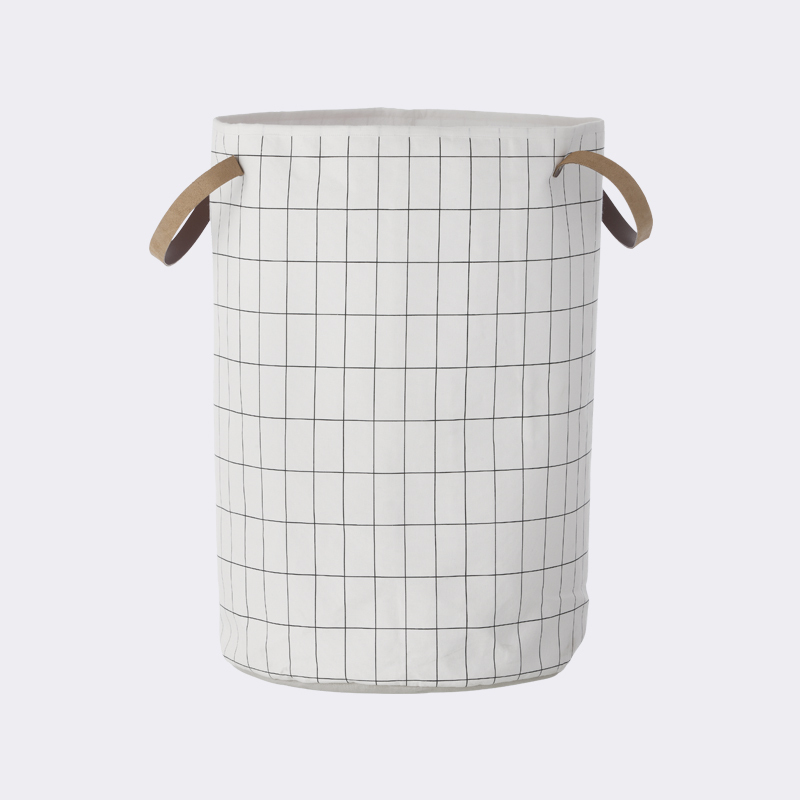 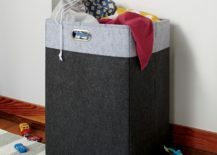 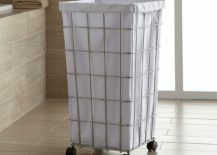 If you like the woven look but you’re searching for a basket that’s extra durable and easy to clean, check out Crate & Barrel’s Grey-White Stripe Laundry Hamper, made from woven polyethylene. 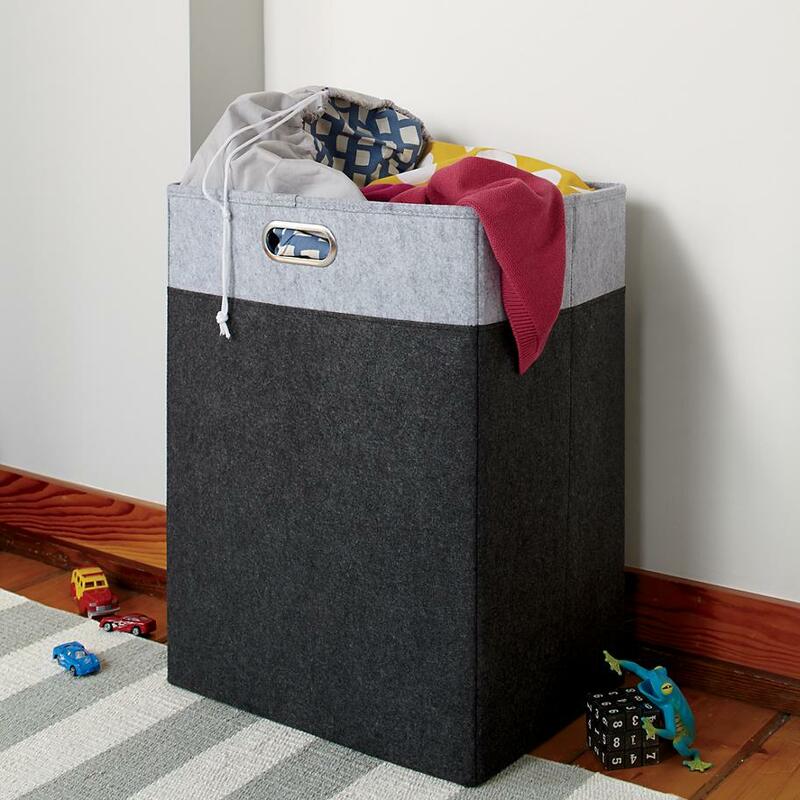 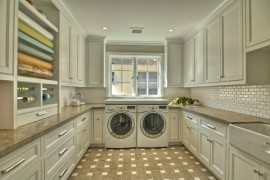 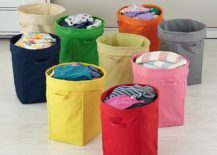 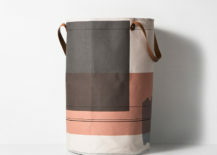 Plus, it can tote up to 22 pounds of laundry! 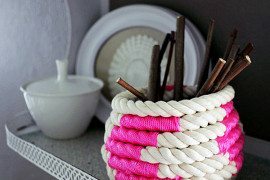 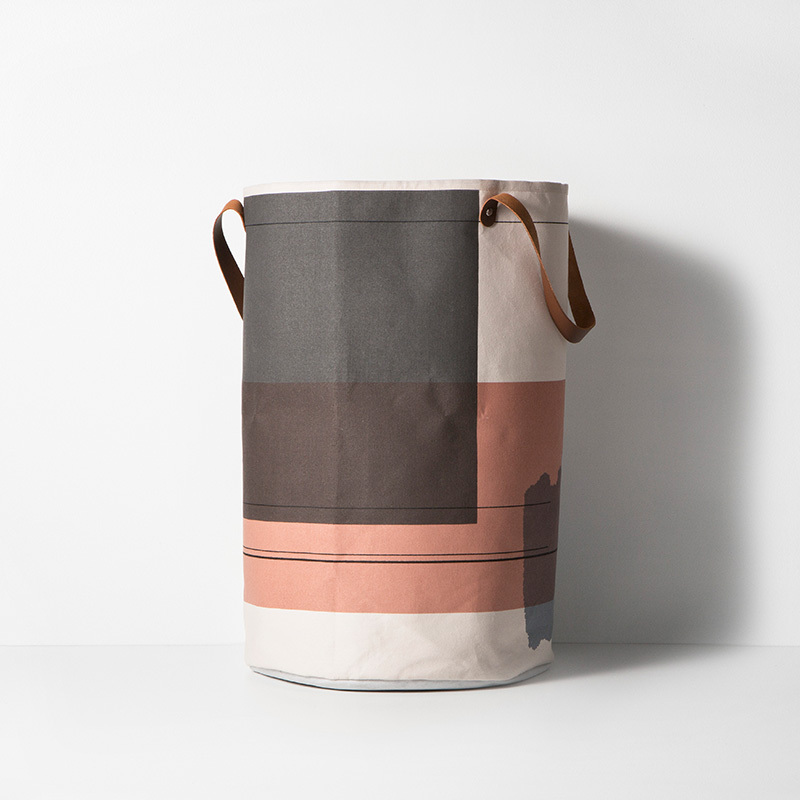 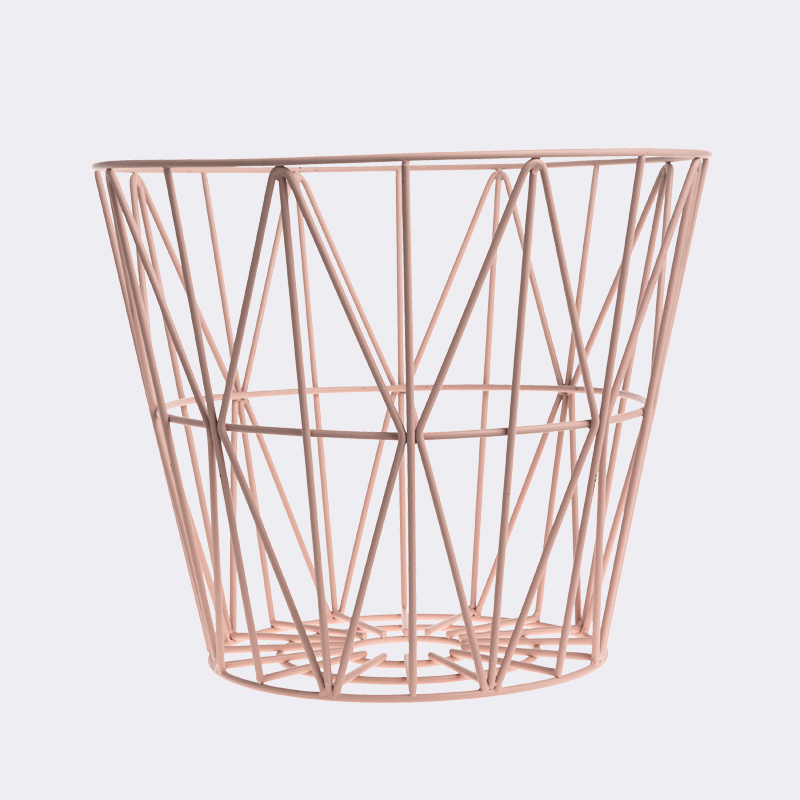 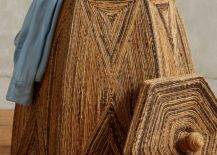 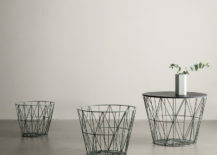 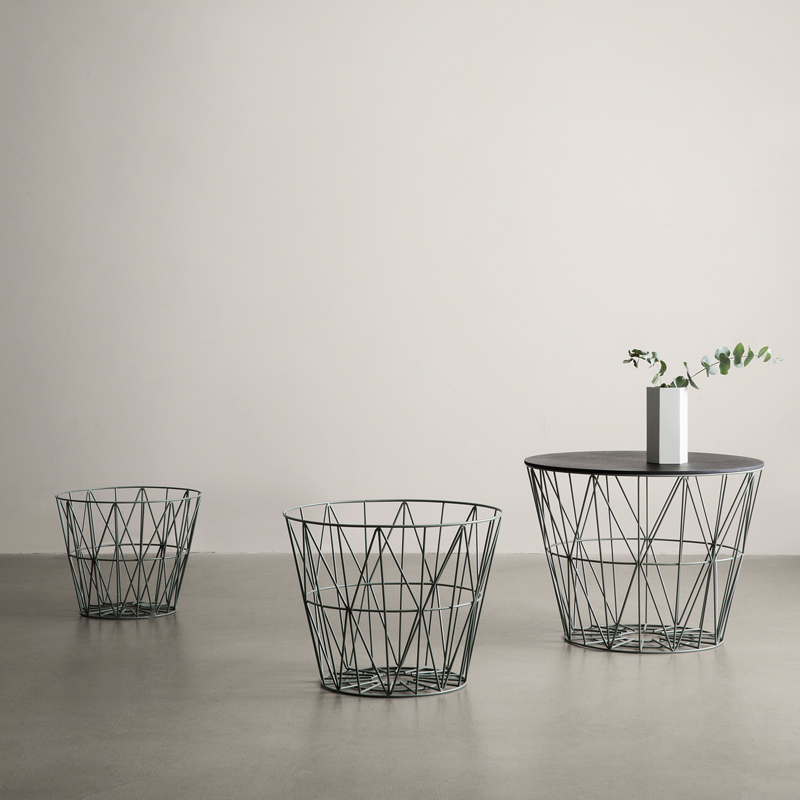 From woven to wire, ferm LIVING offers wire baskets in a range of colors and sizes. 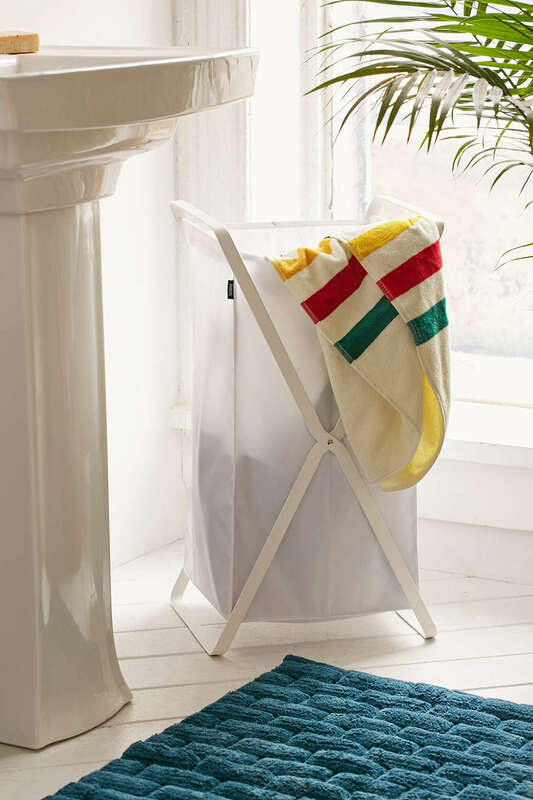 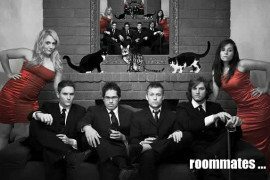 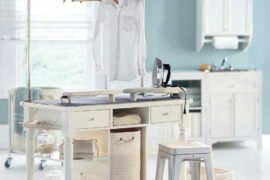 What we love most about them: if you don’t want to use them to hold laundry, you can transform them into tables! 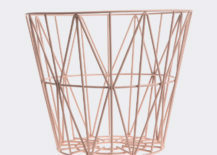 Below we see the same basket in a soft shade of rose. 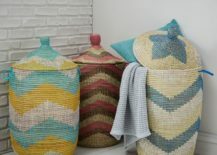 Which color is your favorite?